Well, one of his main accessories, anyway. He's made the same fragrance mistakes all of us made at that age. 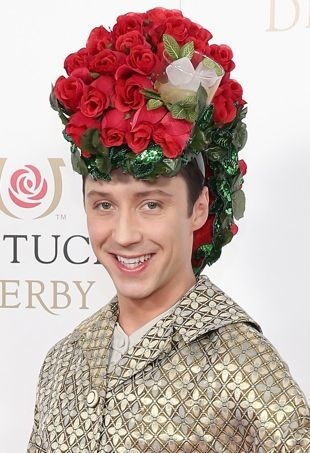 Johnny was hard to miss in this elaborate Kerin Rose Gold topper as he covered the race. 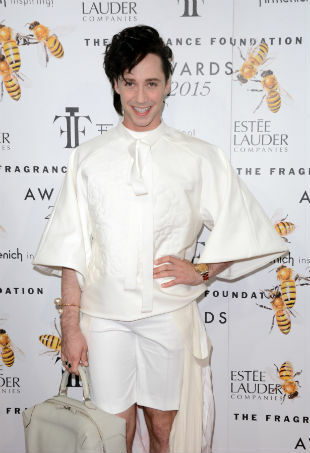 Elise Overland shows her Fall 2011 collection in an outdoor ice skating rink as Johnny Weir and other skaters skate their way around the models.